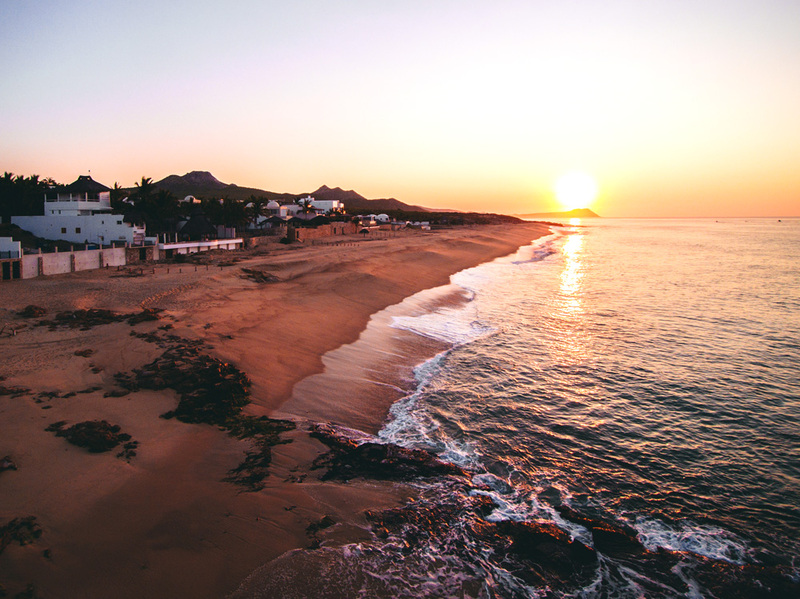 Up the road from Flora and on the Sea of Cortez, lies an all-new Flora Farms Beach Club, where participating Flora real estate owners receive special access to private experiences. The Flora Farms Beach Club is well into its construction, with the intention to be open by May of 2019. Less than a ten-minute drive from Flora Farms, the private beach club will feature valet parking, a heated pool, hot tub, and changing rooms (with showers and lockers); all on a beautiful beach. The Beach Club will feature a new and second location of Outpost restaurant and bar. Patrons of the new Outpost Beach will enjoy an open kitchen, private chef's tables, a large sunken oceanfront bar, an air conditioned dining room, a new full menu in addition to its popular tapas preparations, plus signature Flora Farms cocktails. Outpost Beach will also service the Beach Club's private pool and beach areas. Additionally, the Beach Club property will host a mercantile with provisions from Flora Farms and Santo Cabo too. Like the Beach Club itself, the boutique two- and three-bedroom beachfront flats are well underway, with models goaled for completion by May of 2019. Six of just ten total beachfront flats are being offered in pre-construction and are available exclusively to owners of full and partial real estate at Flora Farms, those who receive a Private Invitation, and select VIPs*. If you are expecting an Invitation but have not yet receive it, please contact us. *Select VIPs are individuals and public figures invited by the developers of Flora Farms or El Encanto de la Laguna.